I have been a professional numismatist since 1990. 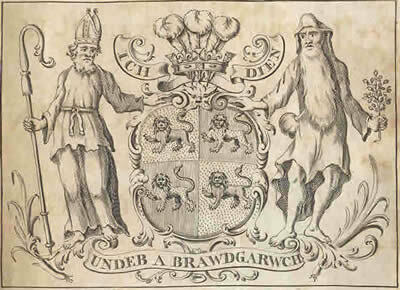 Until 2005 I was a cataloguer and auctioneer for two of London's then principal numismatic auctioneers (namely Glendining’s and Baldwin’s - when the latter were in Adelphi Terrace), which included the cataloguing and sale preparation of the six thousand silver coins of the fifteenth century Reigate Hoard, sold at auction in 1992, and taking numismatic auctions in Hong Kong, Singapore and Dubai as well as London. In 2005 I launched my independent coin and medal dealing business and consultancy, Charles Riley Coins & Medals. Independent successes have included placing a million pound collection of quality British coins on the London auction market, including of one of the finest examples of the famous New South Wales ‘Holey Dollar’ of 1813. As an enthusiastic collector of coins since the 1970s, my initial collecting interests were in British and French medieval coinage. Latterly I developed a particular interest in Commemorative Medals both British and foreign. 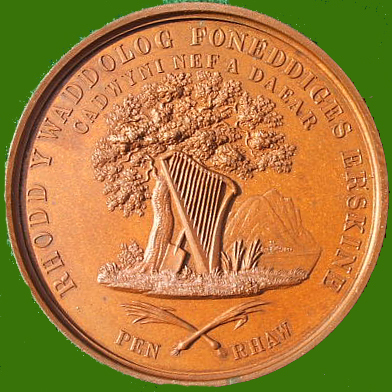 My personal collecting interests are Welsh-language medals (where the Welsh legend is struck rather than engraved – see below), and historical / commemorative medals of Oxford and Oxfordshire. Please contact me if you have any of these for sale. with a view to publishing a catalogue. If you have any such medals please contact me. Sale of Coins and Medals: My stock is sold mainly through this website, and through having a table at various fairs (see below, under News). 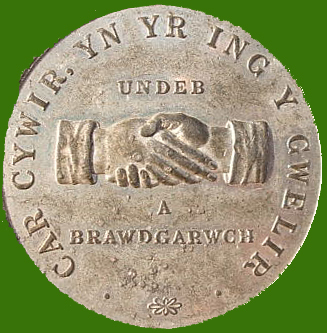 However not everything is listed on the website, so if you are looking for a coin or commemorative medal and don't see it here, please contact me. Currently I do not issue a printed retail list. Purchase of Coins and Medals: I am always keen to purchase coins and medals, be they individual items or collections. I live in Buckinghamshire, which is geographically well suited for visiting clients in the south and midlands of England, as well as London. I also travel the country widely. Valuation for Probate: This can be arranged for a fee dependent on the amount of work involved. Auction cataloguing: As an auction cataloguer and auctioneer between 1990-2005, I am well placed to catalogue numismatic collections for auction, and can offer advice on all matters relating to the auction process. Website stock listings: All three medal listings pages (British & Irish, Foreign, Medals under £50) have been updated on 1st March 2019. There are some 200 new medals for sale. Also I have added coin listings, currently gold items and some modern Maundy sets – further coins will be added. IMPORTANT: I am having some problems uploading photographs and many links don’t work: despite my best efforts I will have to call in professional computer help to rectify this, which may take a while. Meanwhile I will be happy to email photos of medals listed, where the photograph is not showing or is blurred, or the link to the detailed page doesn’t work. There is a small selection of numismatic books for sale. These are offered on the References page, after the numismatic bibliography: do have a look - although small in number, it is quite an interesting selection - and excellent value! Facebook: There is now a Facebook page called...”Charles Riley Coins & Medals”. It has some photos not on this website and may have alerts as to website listings or events in my numismatic life. The Facebook page can be accessed here. "eBay": Whilst I have reservations about this online auction site, I still use it as a seller from time to time under the nom de guerre "Rodgarden”. My photograph: Apparently some people like to know what the person they are dealing with actually looks like, so now you can find out by scrolling down to the bottom of the References page, below the "Books for Sale" section, or simply clicking here. Additionally, recently I unearthed the photograph here of my early days in the coin auction business at Glendining and Company in central London which I’m putting on this website for a bit of fun. 2015 - career anniversaries: 2015 marked a couple of milestones in my numismatic journey for which I issued a commemorative medal. It is available for purchase at just £5 plus registered postage, or will be free with any item ordered from this website. For further details click on this link here. Thought for current times in the UK – Oliver Cromwell said to Parliament on 20 April 1653 (edited): Ye are grown intolerably odious to the whole nation. You were deputed here by the people to get grievances redressed, are yourselves become the greatest grievance. Your country therefore calls upon me to cleanse this Augean stable, by putting a final period to your iniquitous proceedings in this House; and which by God's help, and the strength he has given me, I am now come to do. I command ye therefore, upon the peril of your lives, to depart immediately out of this place. Go, get you out! Make haste! Ye venal slaves be gone! So! Take away that shining bauble there, and lock up the doors. In the name of God, go! Coin Fairs are a great way to meet clients and also an opportunity for me to display items which never appear on the website: see here for a photograph of me at the London Coin Fair. The Society meets about 8 times a year usually very informally over lunch at The King's Arms, The Moors, Kidlington OX5 2AJ (north of Oxford) at 12pm. The next meeting is on 20th April. Additional information is available here. New members are welcome - please contact me for further details (there’s no membership fee – it’s really an informal meeting of like-minded people). A photograph of a typical meeting is available here. Numismatically departed: brief farewells to selected numismatists can be found here. Please DON’T ask for general information, and certainly please DON’T ask for reduced prices. Thank you. In addition, please do not contact me with any enquiries regarding modern coinage, especially ‘rare’ 50-Pence or 2-Pound pieces. By and large there is a lot of hype around these, both in the Press and through silly prices being asked on eBay. If you have a coin like this that you think is very valuable and rare, your first port of call should be to list it on eBay. Recently there’s been some excitement that modern 1971 Two-Pence coins are worth money. Well yes, they are worth 2p but no more! I think the idea that they are worth a small fortune has arisen due to a mistaken report in the popular press, confusing 1971 with 1983 (and the 1983 coin must read ‘New Pence’ not ‘Two Pence’).